20 Mart 2019 Çarşamba 01:02 - 2 reads. 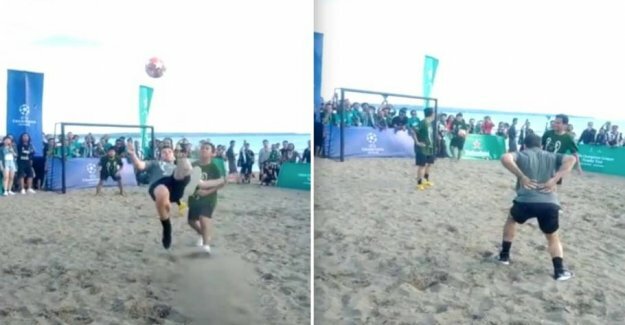 the Legend Alessandro Del Piero, who made many elegant goal for Juventus in the late 90's and in 00's, was not so elegantly, when he on Monday made a bicycle kick during a beach football match in Bali. Several of the onlookers laugh out loud of the former player, however, does not look like someone who is about to die of laughter as he takes to lower back after landing in the sand. Del Piero was in Bali and Indonesia to participate in the events, where he was to greet the fans in connection with his ambassador role for the Champions League.